Tapestry’s Hannah Needle – Tax Lawyer of the Year! We are delighted to announce that Hannah Needle has been named as Tax Lawyer of the Year in Lawyer Monthly’s Women in Law Awards 2017. Full details of the award citation can be found here. It is our great pleasure to congratulate Hannah on her receipt of this award. The Women in Law Award recognises achievement and success amongst women in the legal profession across the globe, focussing on legal practitioners who have influenced the wider legal profession in their jurisdiction over the last year. 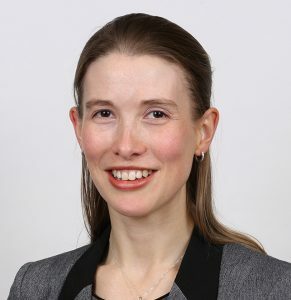 Voted on by other members of the legal community, it has quickly become a prestigious accolade and recognises Hannah’s abilities as a lawyer and her commitment to the development of her chosen area of expertise in executive and employee incentive plans. Hannah joined Tapestry just over a year ago and her impressive skills as a lawyer and her infectious enthusiasm for the work that we do meant that Hannah quickly became a key part of our UK tax and global share plan teams. Hannah is the senior lawyer in our Leeds office and, in addition to extensive client work, is a popular speaker at industry events, on the GEO UK Chapter Committee, a trainer on the Tapestry ICSA Course on Employee Share Plans and helps to run the North of England share plan industry discussion group.